If you think mug shots and habitual drunkenness are a modern phenomenon, think again. Thanks to an incredible finding, the black list of infamous drunkards distributed by the Birmingham City watch via the Holt Brewery has been uncovered and made available for perusal. 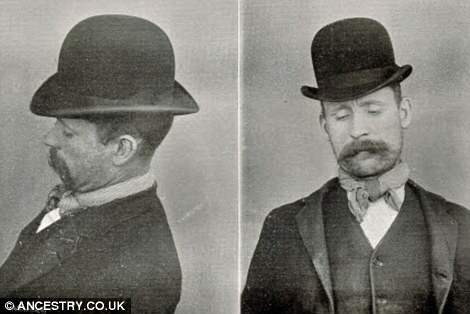 The Daily Mail has collected some of the best Edwardian mug shots from the list, and helpfully included their distinguishing features and noteworthy drunken offenses. Apparently, this practice was replicated by breweries and public houses throughout England in an attempt to cut down on drunkenness and criminal behavior. Of course, we kind of do the same thing today thanks to our Best-Of mugshot lists and general mugshot mania. However, we’re less concerned about preventing crimes and more concerned with making fun of goofy-looking or ironically-dressed criminals, celebrities, and the like. The goofier the better!